The Second Theatrical Trailer for 'THE HUNGER GAMES' Starring Jennifer Lawrence & Josh Hutcherson! Lionsgate have released a second trailer for The Hunger Games, their big screen adaption of Suzanne Collins' best-selling novel of the same name. Each year in the ruins of what was once North America, the Capitol of the nation of Panem forces each of its twelve districts to send a teenage boy and girl to compete in the 'Hunger Games'. A twisted punishment for a past uprising & an ongoing government intimidation tactic, the Games are a nationally televised event in which 'Tributes' fight one another until one survivor remains. The Gary Ross directed movie hits theaters & IMAX on March 23rd & stars Jennifer Lawrence, Josh Hutcherson, Liam Hemsworth, Woody Harrelson, Elizabeth Banks, Lenny Kravitz, Wes Bentley, Toby Jones, Alexander Ludwig, Isabelle Fuhrman, Amandla Stenberg, Stanley Tucci & Donald Sutherland. Hit the jump to check out the trailer. 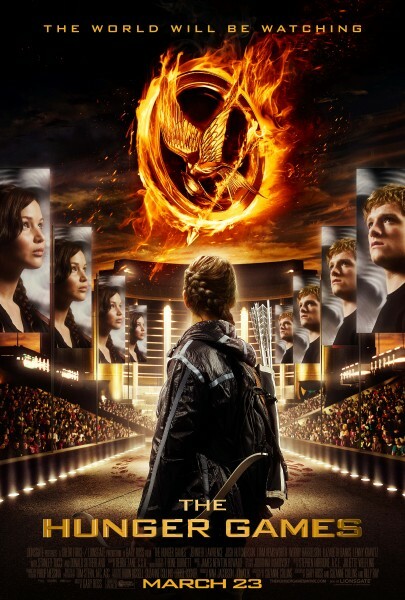 Synopsis: "Every year in the ruins of what was once North America, the evil Capitol of the nation of Panem forces each of its twelve districts to send a teenage boy and girl to compete in the Hunger Games. A twisted punishment for a past uprising and an ongoing government intimidation tactic, The Hunger Games are a nationally televised event in which “Tributes” must fight with one another until one survivor remains. Pitted against highly-trained Tributes who have prepared for these Games their entire lives, Katniss is forced to rely upon her sharp instincts as well as the mentorship of drunken former victor Haymitch Abernathy. If she’s ever to return home to District 12, Katniss must make impossible choices in the arena that weigh survival against humanity and life against love." I'm reading: The Second Theatrical Trailer for 'THE HUNGER GAMES' Starring Jennifer Lawrence & Josh Hutcherson!Tweet this!